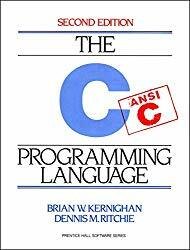 C is a programming language developed at AT & T’s Bell Laboratories of the USA in 1972. It was designed and written by Dennis Ritchie and Ken Thompson. Absolutely no prior knowledge is required to learn C programming. Each topic has many lessons and examples that you can practice and learn. The first step in learning C programming is to install a C compiler for practice. Learning programming is all about practicing and less reading. The more you practice, the more you will learn. It is not easy to learn C programming in a few days or a few months. It will take longer than that to master C programming. Books are your best friend to learn to program. You can practice a lot of programs and solve programming problems from a C programming book. Note:- We earn a small commission from Amazon every time you make a purchase.